New paper published today in PLoS Computational Biology: Understanding how infectious disease spreads and where it originates is essential for devising policies to prevent and limit outbreaks. Whole genome sequencing of pathogens has proved an extremely promising tool for identifying transmission, particularly when combined with classical epidemiological data. Several statistical and computational approaches are available for exploiting genomics for epidemiological investigation. These methods have seen applications to dozens of outbreak studies. However, they have a number of serious drawbacks. 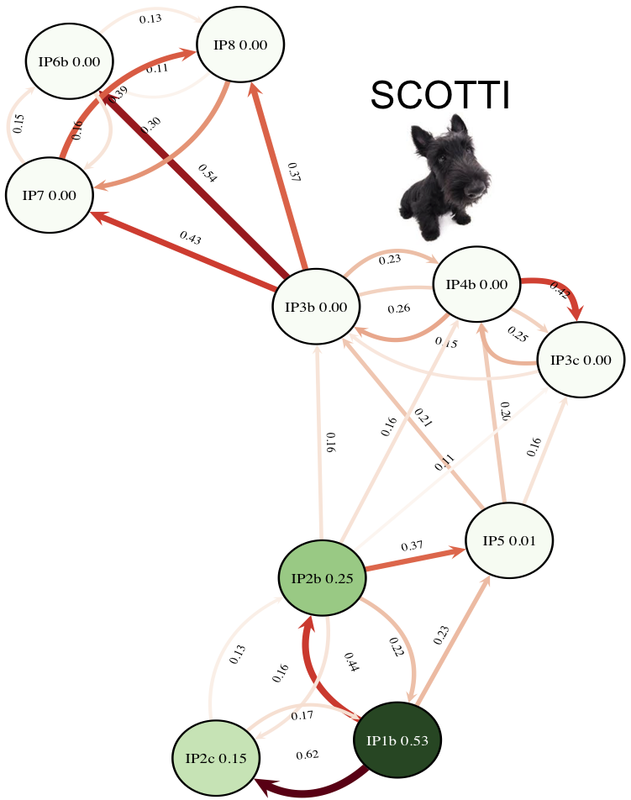 In this new paper Nicola De Maio, Jessie Wu and I introduce SCOTTI, a method for quickly and accurately inferring who-infected- whom from genomic and epidemiological data. SCOTTI addresses very widespread, but generally neglected problems in joint epidemiological and genomic inference, notably the presence of non-sampled and undetected intermediate cases and within-host pathogen variation caused by microevolution. Using real examples and simulations, we show that these problems cause strong misleading effects on existing popular inference methods. SCOTTI is based on BASTA, our recent breakthrough method for phylogeographic inference, and offers new standards of accuracy, calibration, and computational efficiency. SCOTTI is distributed as an open source package within BEAST2.